As the weather gets colder, UGI urges customers to remain vigilant for signs of Carbon Monoxide build-up. Carbon Monoxide (CO) is an odorless, tasteless, colorless gas that all fossil fuels produce when they do not burn properly. This can result in CO poisoning, due to a malfunctioning heating unit, blocked chimney, or other fuel-burning appliance. This occurrence is more common during cold weather, when heating units are in use and home windows and doors are closed tightly. 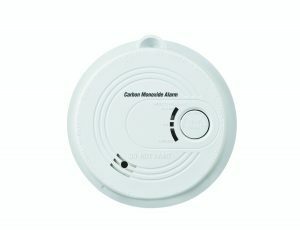 For your protection, a CO detector should be installed on each floor of a home, particularly sleeping areas. Check the manufacturer’s instructions for related information and replacement considerations. Nausea and dizzinessIndividuals who believe they may be experiencing symptoms of CO poisoning should immediately seek fresh air and prompt medical attention.